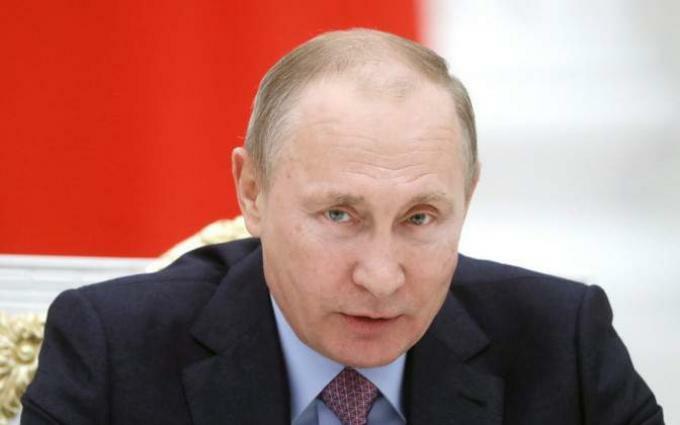 MOSCOW (UrduPoint News / Sputnik - 17th April, 2019) Russian President Vladimir Putin will meet with Estonian President Kersti Kaljulaid on April 18 in Moscow to discuss bilateral relations, as well as the promotion of stability and security in the Baltic region, the Kremlin's press service said on Wednesday. "Bilateral relations in the trade and economic and cultural humanitarian fields will be discussed during the talks. Additionally, views on the subject of the promotion of stability and security in the Baltic region will be exchanged," the statement said. The statement also noted that the Estonian president will be traveling to Moscow on a working visit. On Monday, the United Kingdom deployed five Apache helicopters to Estonia to join NATO drills in an effort to expand its military presence along Russian borders. The Russian Embassy in London said that these actions reflected the United Kingdom's anti-Russian rhetoric and was a deliberate provocation. UK Defense Secretary Gavin Williamson said Russia was a "credible threat" and sending helicopters to Estonia was meant to act as a deterrent.